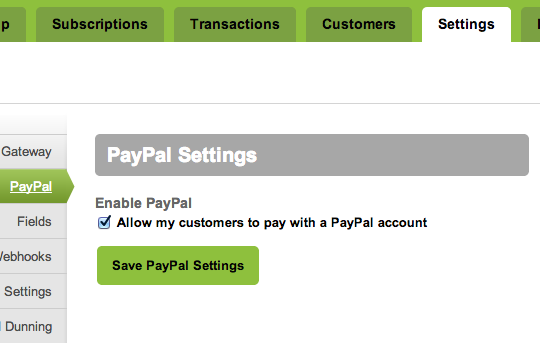 Some of your customers want to pay with PayPal. Braintree is one of the leading payment gateways that Chargify merchants use with Chargify. 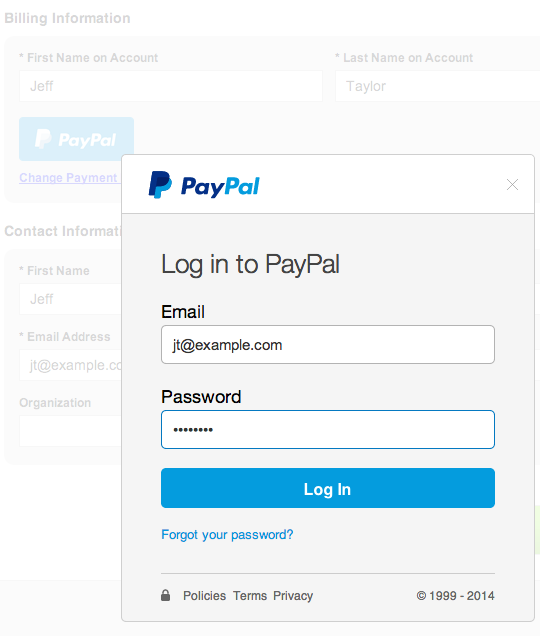 Braintree was acquired by PayPal last year, and they’ve been working on the newest, nicest checkout flow for customers to pay with PayPal. We’ve been working with Braintree this year to make it a reality starting today – the first day that this new payment mechanism is available to anyone. 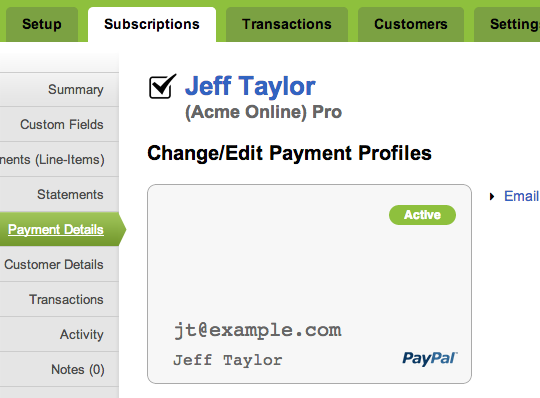 Chargify is the first commerce platform to make this available. It was an engineering stretch to meet the deadline, but we did! If you have this new feature enabled (see steps in next section), here’s what your customers see on their Chargify-hosted signup page. If you use Braintree as the payment gateway for your Chargify Site, your customers can now pay with a credit card or with their PayPal account. You just need to enable a couple of settings. We know a number of merchants will be really happy about this, so we’re very excited to release it today. We also know that there will be questions and probably some rough spots. This is all new – new at Braintree and new at Chargify – so let us know if you have any questions or comments. 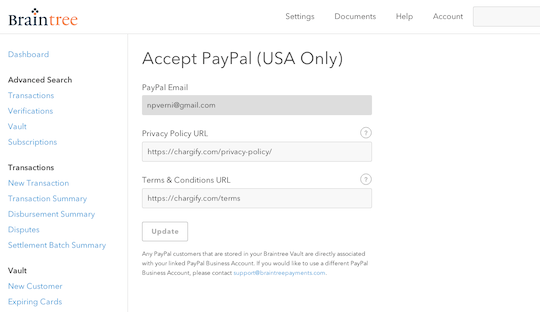 Note: PayPal payments are only available on Chargify-hosted pages and cannot be used with Chargify Direct.